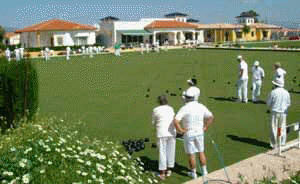 Cabrera Bowls Cabrera Lawn Bowling Club Al Andalus Garden residencial complex Turre, Nr. Mojacar. Fergus Style Palacio Mojacar **** Spa Adults Only 4-star hotel This property has agreed to be part of our Preferred Property programme which groups together properties that stand out thanks to their excellent service and quality/price ratio with competitive prices. Participation in the programme requires meeting a specific set of criteria and takes into account feedback from previous guests. Captain is Brian Saunders 634 322 210. Club Tel: 950 930 471. Cabrera Lawn Bowling Club is established at its new site in the Al-Andalus Garden complex with two fully established grass greens and an attractive clubhouse.. Cabrera Bowls Club Green. Al-Andalus Garden is a complex situated close to Turre, a small village near Mojacar in the province of Almería. Cabrera Bowls Club Green 2. View from the Club Room. Cabrera Bowls Club Green From Club Room. 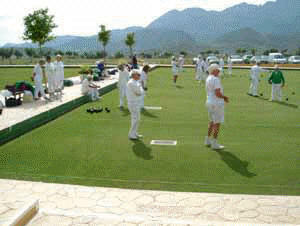 The Bowling Club is owned and run by its members who do not have to be residents of the complex. 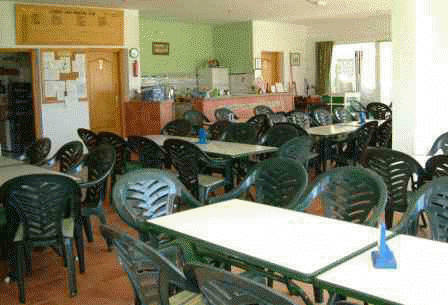 Cabrera Bowls Club The Club Room. Annual Membership Subscription – 200 Euros per person. 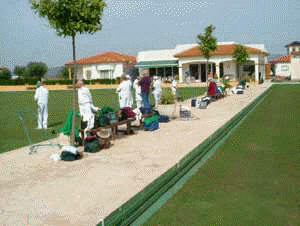 Visitors Green Fees – 6 Euros per session, Bowls available for hire. Cabrera Bowls Club The Green. 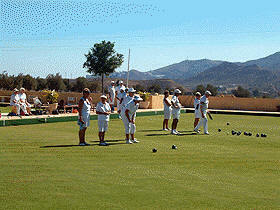 Cabrera Bowls Club is actually located on the outskirts of Turre, 15 minutes drive from the beaches of Mojacar Playa, although it was originally located in the mountain village of Cabrera a few miles further inland from Turre before beirng relocated when the club expanded. The club has 2 excellent quality grass greens set in beautiful and peaceful location with the Cabrera mountains providing a stunning backdrop. The clubhouse facilities include spacious dining area overlooking the greens, bar and changing facilities and the catering is provided by external suppliers as needed. The membership is in the hundreds and continuously growing, mostly local British ex-pats who have settled in the area or visiting members who spend part of the year in Spain, usually winter months. The members are very sociable and always make sure visitors are made to feel extremely welcome, although as you would expect, they like to compete and are always keen to defend their record against visting teams. Address: Al Andalus Garden residencial complex. Summer (May 1st to 31st October) – Tuesday, Thursday and Saturday 10.00am start. Winter – (1st November to 30th April) – Tuesday Thursday and Saturday 10.30am start. “Crowood Sports Guides” provide sound, practical advice that will help make you a better sportsperson, whether you are learning the basic skills, discovering more advanced techniques or reviewing the fundamentals of your game. 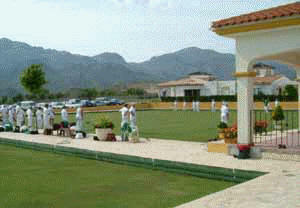 Cabrera Bowls Club Al, Andalus Garden residencial complex, Turre, Nr. Mojacar.